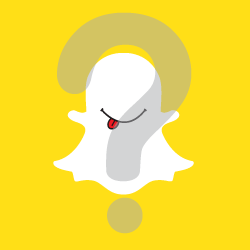 Snapchat could be just what you need to engage members or potential members – particularly young professionals. In the past, it’s younger user base and short-lived content may have left you unsure about adding this channel to your chamber’s social media strategy. But, it’s important to evaluate if (and how) it can help your organization reach its goals. The value of one follower the Snapchat platform is truly greater than the value of a single follower on any other social network. Why? Because Snapchat is built for the sole purpose of consumption. That alone is powerful. Part of Snapchat’s secret to success is that it creates an “urgency” combined with content storytelling – mostly through video. Think of it as YouTube combined with Twitter (but with an 80-character limit). When consuming, Snapchatters feel as though they are a part of the experience (unable to use a finger to skim or rifle through a feed like with so many other platforms). In a world where it is increasingly difficult to get someone’s undivided attention, snaps achieve just that. Snapchat stories take up an entire screen, which means no distractions. Snapchat gives you less, literally. Looking for social media post ideas? a collection of sharable member-friendly quotes that inspire and motivate. This platform has cracked the code on organic engagement. It feels native because it is. Content MUST be created on the Snapchat App itself. Using an outside video file or picture will not work, but this is another reason why the app is so successful – it’s easy to produce content and just as easy to consume. learn about 5 trends that will be game-changers for your chamber. Snapchat single-handedly brought back QR code technology that we all thought was dead! Since there isn’t a Snapchat website (or URL links for that matter), the app is forced to offer unique ways to find followers. The easiest way to find followers utilizes QR Snapcodes (or Snaptags) which are specific to each Snapchat profile. These codes snapped by another Snapchatter –anywhere, printed or digital – allows them to automatically add you as a friend. Essentially, Snapcodes are a follow button. Millions of Snapcodes are scanned each week making it easier for everyday users (and your chamber) to get more followers on the app. Video snaps can only be up to 10 seconds long. Six 10-second videos can be taken without interruption – creating one-minute videos. Private snaps (swipe left) disappear immediately after being viewed. Keep those for personal one-to-ones, like “thank you” messages. Content made into “my story” (swipe right) can be viewed by all friends up to 24 hours and then they’re gone forever. These stories create a compelling reason for users to come back daily. There isn’t an “endless” wall like Facebook that saves content. Stories can also be easily shared on YouTube and Twitter within the app providing better longevity for marketers. Don’t focus on followers, focus on producing engaging content! Snapchat launched in 2011. Keep in mind that some of the early adopters are now approaching their early thirties. It is not just for teenagers. There is no denying that the psychology behind the app works. Snapchat can provide your chamber with a great opportunity to humanize content. If you are looking to increase video views and engagement quality, it may be time to give Snapchat a try.